There is considerable scientific evidence of beneficial effects of plants in the interior environment. Research by NASA and other organizations show that common house plants are powerful natural air cleaners. In laboratory studies, test plants removed as much as 87% of indoor air pollutants within 24 hours. Plants absorb pollutants through their leaves, roots and the bacteria that live on them. They then convert these substances to food. last, but not least: the very presence of plants has been shown to increase positive feelings and reduce feelings of stress, anxiety, anger and sadness. Although many plants like light, they do not all have to be placed near windows. These are ideal for the home and can be placed in darker corners. When positioning plants, try to strike a balance between light and ventilation because the effect of plants on indoor air pollution appears to be reduced if they are set in a draft. 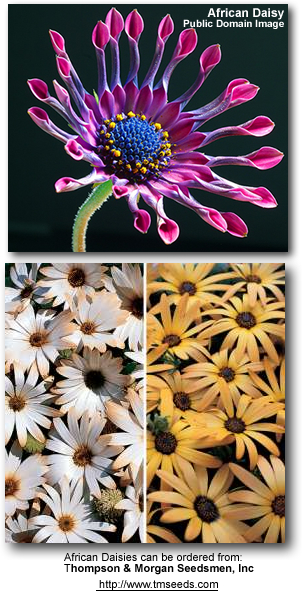 **If you are sensitive to pollen, avoid chrysanthemum and daisy arrangements as they are ragweed relatives. Research has shown that these plants are the most effective all-around in counteracting off-gassed chemicals and contributing to balanced internal humidity. Please Note: The below is not a complete list, and there are no guarantees as to the accuracy of the information.